IoT is changing the world, and with the latest RTCU NX-400 and exciting new devices in the pipeline, we are well positioned to meet the strict requirements for tomorrows IIoT solutions! With this newsletter, we have the pleasure of introducing a new member of the RTCU DX4i pro series supporting LTE Cat M1 and LTE Cat NB1. With this 4G-based, low-power, wide-area (LPWA) technology a new level of power management and transmission range can be achieved. Currently, LTE Cat M1 is gaining the most traction with network operators in North America, Japan, Korea, and Australia while LTE Cat NB1 is being advanced in Europe, Asia, and the Pacific region. RTCU DX4i pro LTE (world-wide LTE Cat M1/NB1 and EGPRS). RTCU DX4i pro 3G (world-wide Penta-band UMTS/GSM). RTCU DX4i pro 2G (world-wide Quad-band GSM). With the availability of the RTCU DX4i pro LTE, a competitive pricing structure is introduced for all variants. For additional information, please see the detailed product page here. Also introduced is a GPS receiver for the RTCU NX-400 for applications where localization or a precise clock are crucial elements. 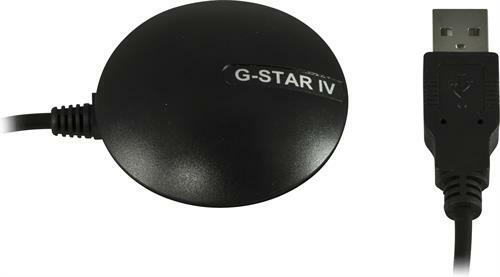 The GPS Smart-antenna is water-protected and comes with a 1.5 meter cable that connects directly to the USB host port on the RTCU NX-400. For additional information, please see the detailed product page here. Please stay tuned for additional accessories coming soon for the RTCU NX-400! RTCU NX-400 System Firmware V1.02.00. This is a major release that includes Runtime Firmware V1.10.00. Support the new features introduced in the latest firmware. RTCU Communication Support Package (CSP) V3.10. Please follow above links for detailed information.